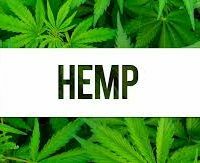 The Idaho Senate has approved legislation authorizing out-of-state businesses to transport hemp through the Gem State, where it’s illegal. Tuesday’s 31-1 vote sends an amended version of the bill back to the House for consideration. A Senate Committee on Monday approved sending the measure to the chamber for amending. The bill passed the House last week, but not without Genesee Representative Caroline Nilson-Troy making significant changes, including adding foreign countries, as Canada is a producer of hemp. The measure also had an updated fiscal note that includes $100,000 for the Idaho Department of Agriculture to create rules in cooperation with law enforcement officials that lawmakers will consider early next year.